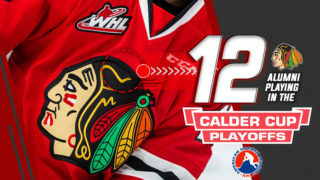 Coming off a historic weekend in the Rose City, the Winterhawks are looking to win their third straight against the Cougars. Portland scored 18 goals in two games last weekend, the most in back-to-back games since March 2013. PREVIOUS GAME – Winterhawks 10 vs. ICE 2: The Portland Winterhawks carried momentum from their Teddy Bear Toss game and throttled the ICE 10-2 to wrap up the weekend. Ten goals was the most scored by the Winterhawks this season. 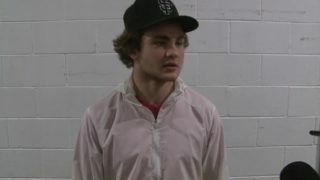 The Prince George Cougars are in town for a pair of December games. It’s the only time the Cougars come to town this season, and they are looking to catch up in the B.C. Division. 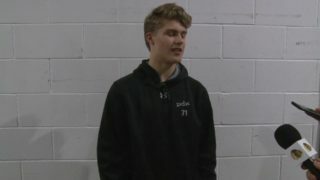 The northern most team in the Western Conference has five former first round WHL Bantam picks on their team, including future NHL draft pick Taylor Gauthier. 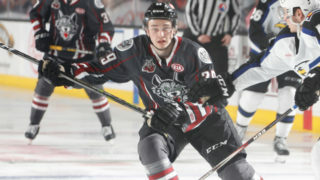 Gauthier, in his second season in the Western Hockey League, is listed as an A-rated NHL prospect for the 2019 draft. Before the season began, the Calgary based goaltender helped Team Canada capture the Hlinka Gretzky Championship. It’s a homecoming this weekend for former Winterhawk Ilijah Colina, who played 83 regular season games for Portland. Through 136 games in the WHL, Colina has 53 points and is coming off his first career three-point performance in the league. Tonight, Prince George begins its 11 game road trip taking us through the New Year. The Cougars are 2-3-0-1 against U.S. Division opponents, but have yet to face Everett or Portland this year. 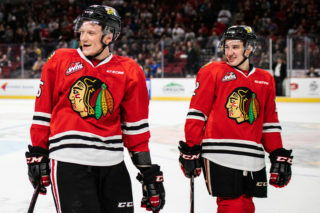 Last season, the Hawks won three of four meetings against the Cougars as the two teams were linked thanks to the deadline deal that sent current Detroit Red Wings defenseman Dennis Cholowski to Portland. In four games last season, former first round import selection Vladislav Mikhalchuk led the way with four points against the Hawks. He currently leads the team with 21 points through the first three months of the season. On the flip side, Gauthier allowed ten goals in just over 100 minutes against Portland last season. We’ll see if the Hawks can continue their offensive dominance in December. Portland is home for back-to-back games against Prince George Friday and Saturday night. 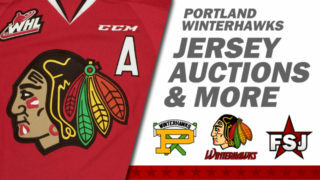 Be sure to visit winterhawks.com/tickets for full details on pricing and availability.